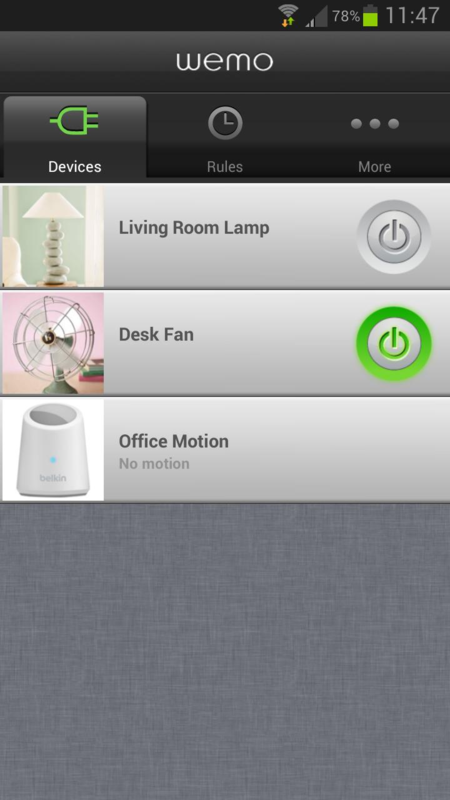 If Belkin had you excited about its upcoming WeMo Android app at CES this year, good news: the first beta version of the app just landed in the Play Store. According to the app's description, it has only been tested on the Samsung Galaxy S III, but should work on all 4.0+ devices. 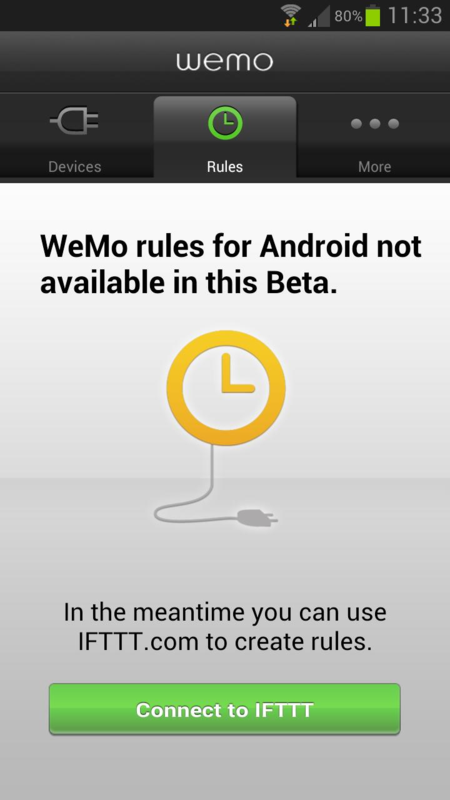 With that said, some (or even most) of the features may not work properly, as the app is a very early beta. 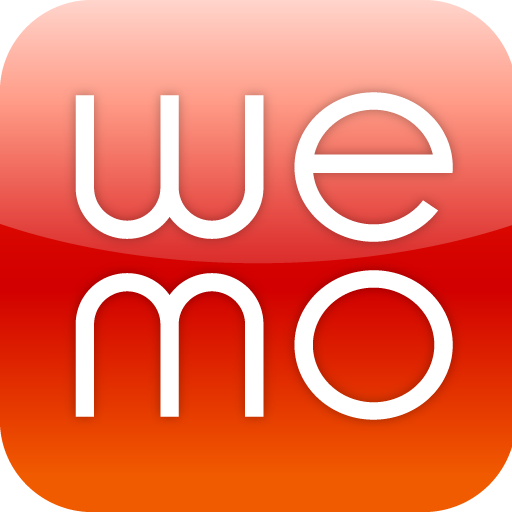 So, what can you do with the WeMo app? 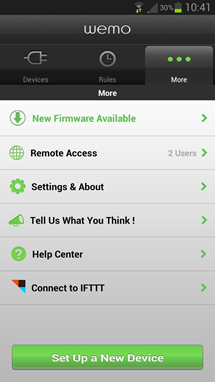 At the current time, you can control WeMo devices over Wi-Fi or cellular network, set custom icons and names, update the local firmware, and take advantage of IFTTT integration. 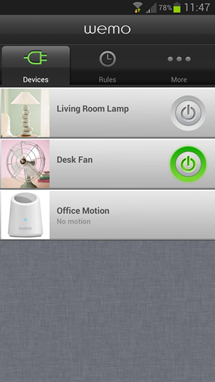 This version doesn't offer WeMO rules, in-app support content, or remote firmware updates, however. 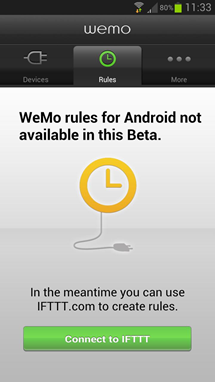 Since the app is beta, Belkin will of course be working to fix the aforementioned issues – as well as add new features – but it has cautioned users that these fixes may not come in the short term. At least the company is being completely transparent about the issues, so that's good. The initial release is free in the Play Store, so if you're cool with all the caveats, hit the widget to give it a shot.